Previously the appointments were made on either direct Royal Decree or were based on hereditary. 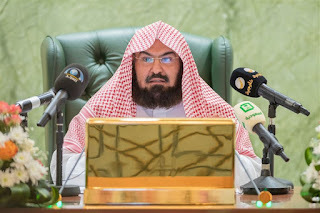 The decision of appointments will be made by a council of the General Presidency for the Affairs of the Haramain headed by the President of GPH which is currently Sheikh Abdul Rehman Al Sudais. Imams and Muadhins will be appointed on four years contracts which can be renewed, with the exception of Taraweeh Imams whose appointment to lead Jahrih Salat will be made the council at the conclusion of Ramadan. For appointment of Muadhins, the individual has to be a Saudi National, have a good voice, experience, and the need to obtain a scientific degree not less than a bachelor degree from one of the faculties of Islamic sciences in the Kingdom. New Restrictions have been imposed on Imams such as they cannot attend or hold public speaking events without and travel abroad to attend an event without permission, have social media accounts. Imams and Muadhins can be terminated if they fail to perform their duties or be relieved of their duties at the expiration of their contracts at the behest of the council.